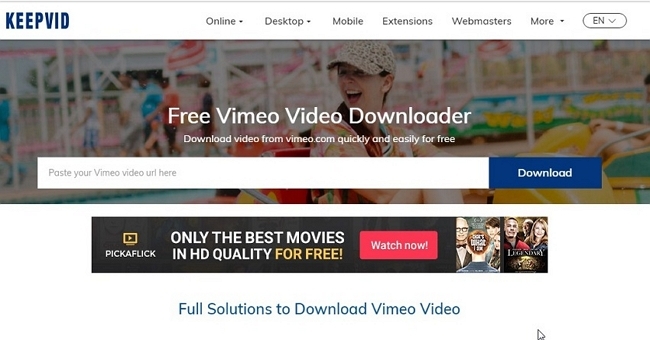 Download Vimeo - Best Vimeo Downloader to Download Vimeo Videos in Firefox, Chrome, Safari, etc. Sometimes the improvements of Mozilla Firefox may cause drawbacks, which lead to frustrations by users whom want to continue their daily routines without interruption. Despite all of the good things about Firefox, it still has some difficulty when it comes to playing Vimeo videos in Firefox. The first thing one should always do when Vimeo videos will not play is to check all of the add-ons of your browser, it could take a good chunk of time depending on how many add-ons your browser has accumulated over the years. Now imagine if you wanted to download vimeo in firefox that had taken you so long to finally get to play, if you did eventually get the video to play. Sure, you could use one of the free online web services to download the Vimeo video, or you could use inexpensive vimeo downloader software that will be at your fingertips any time and can be used across multiple Apple devices. The Vimeo downloader software to which we are referring for Firefox browser is known as iTube Studio Vimeo Downloader for mac (or Vimeo Downloader for Windows ). Being one of the best video downloader for Firefox, This Vimeo downloader software gives a significant amount of control, along with an incredible user face, that will ease your fears for your video downloading needs. With this fabulous downloader for Vimeo videos you are not only able to download and convert streaming vimeo video with one single click, but also download whatever video or vimeo movie you want from other 10,000+ video sites. PRIVATE MODE to download private Vimeo videos, private Facebook videos and other private videos with a password protected. Fortunately, this Vimeo Downloader also comes with step-by-step directions, showing just how simple and easy it is to use. Once iTube Studio for Mac has been downloaded and is sitting in your dock, you can then launch it and open Firefox to visit Vimeo.com. Play the video you want to download, then you'll see a "Download" button on the top left corner of the video window. You will be able to download vimeo videos with the click of the "Download" button. Tips: iTube Studio also allows you to download multiple videos at a time, program your device to shut down after downloads are complete. By clicking the "Downloaded" tab, you can find the downloaded vimeo video. To convert the video to other media formats, you can click the "Add to Convert List" icon right beside the video to import the video file to "Convert" menu. Open the "Convert" menu, choose the video you want to convert, click the "Convert" icon next to the video and choose an ideal format from the pop-up window. If you want to watch the video clip, you can double click on the video thumbnail. The inbuilt media player offers you three playback modes: loop, shuffle, playlist. One day able to play the Vimeo videos, and the next day they simply will not play. For some there was a day in between, whereas for others it happened from one video to the next in a matter of seconds, where Firefox suddenly decided it would not play the Vimeo videos. Most of the users experiencing this issue had not had any recent updates to their web browser, or downloaded any plug-ins, making the issue confusing. However, it was determined that issue came from an overflowing cache and cookies, which simply needed cleared in order for the videos to begin working once more. Issues playing Vimeo videos with a new version of Firefox. For the past several years, every time Firefox is updated with a new version, there have been a slew of users asking how to fix the fact that their Vimeo videos will no longer play. Fortunately, this is also an easy fix by simply clearing the cookies of the Firefox browser in use. Able to see the thumbnail and press play on embedded videos, but the video does not actually play. This last major issues experienced by Firefox users is due to the Flashblock add on that most browsers have - it turns out that this users version of Flashblock had decided that Vimeo was not on the white list of websites that were safe to play videos within. 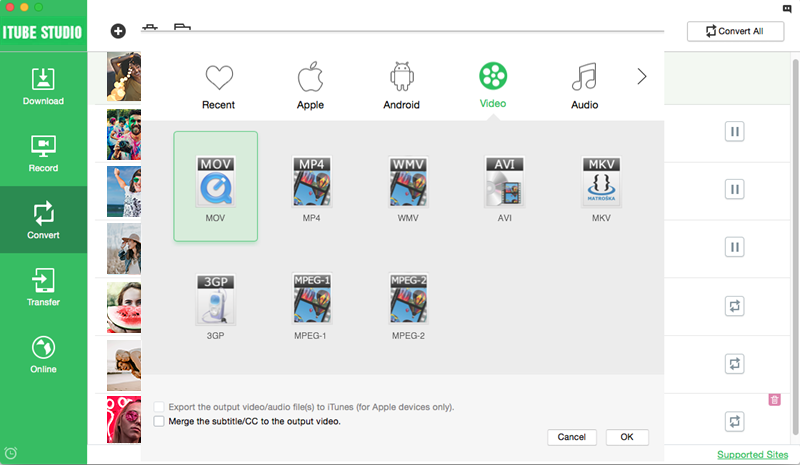 Since we have known how to download Vimeo videos in Firefox with iTube Studio. Also the Firefox browser has a little different interface and hence you will need the tools which are designed and developed as Mozilla video downloader. So Here we have gathered up a list of tools that allows you to download Vimeo videos in Firefox, it includes some desktop solutions and free online solutions. Some of the best and free downloaders for Firefox are listed below. You can try any one of them to download Vimeo Videos in your computer. 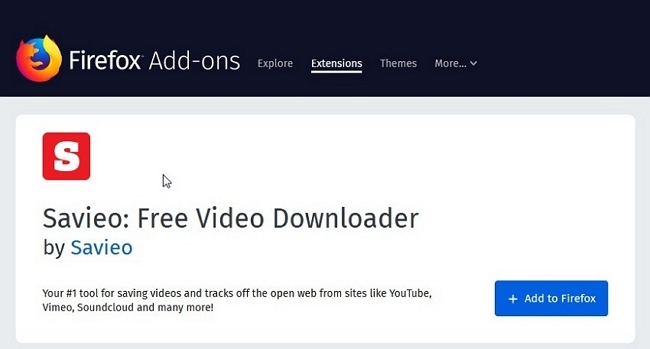 This extension can be installed easily to download Vimeo videos in Firefox. It will make the video downloading a one-click process which will save time and efforts spent in video downloading. You won’t need to copy and paste URLs. It is a safe and fast method. The extension is also available for Chrome browser. Some errors occur in the audio of video files. The extension has a poor design. The website support is limited to 34 websites. 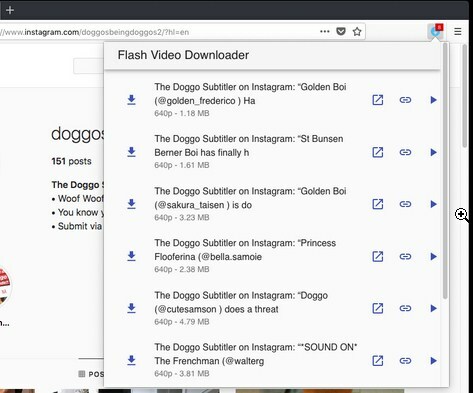 The users can download streaming video from Firefox using the Vimeo Downloader extension. It has a support for over 100 websites from which you can directly download the video. The extension can instantly recognize links coming from various websites. The add icon activation is super easy. The download speed is quick. Sometimes the download link directs to spam sites. It gives error while downloading Vimeo videos. It doesn’t work with private videos. 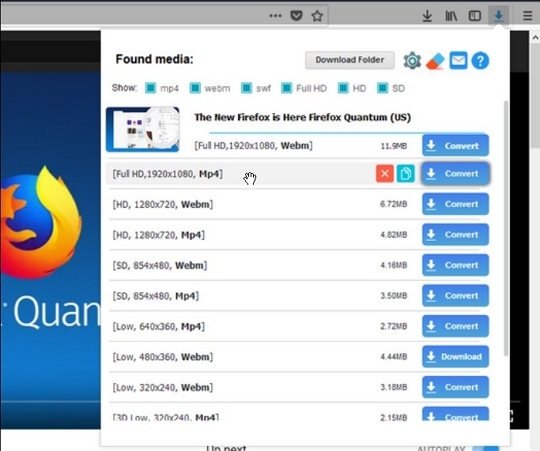 It is another extension for Firefox downloader for videos available on various platforms. It has a wide array of format and website support. So any video that you can find on the internet can be downloaded from this extension. The website support is unlimited. The format support for media files is also great. It can directly copy the original link of the video. The downloader module sometimes doesn’t work. It requires an external FVD program for downloading. You have to get the audio file from another source. As the name implies, this is the best video downloader for Firefox. The Flash Video Downloader extension is one of the best tools for video downloading. The extension is very easy to use. It is completely free and easy to add in the browser. It allows the users to download multiple videos at once. The extension doesn’t allow downloading videos from YouTube due to some restrictions. The extension is a little spammy. Don’t work for private videos. SaveClipBro is a very popular Vimeo video downloader for Firefox. It is a platform that allows you to download videos from multiple platforms including Vimeo, YouTube, Facebook, etc. You won’t need to download any software on your computer, just visit the website on your Firefox browser and download any video that you want to. 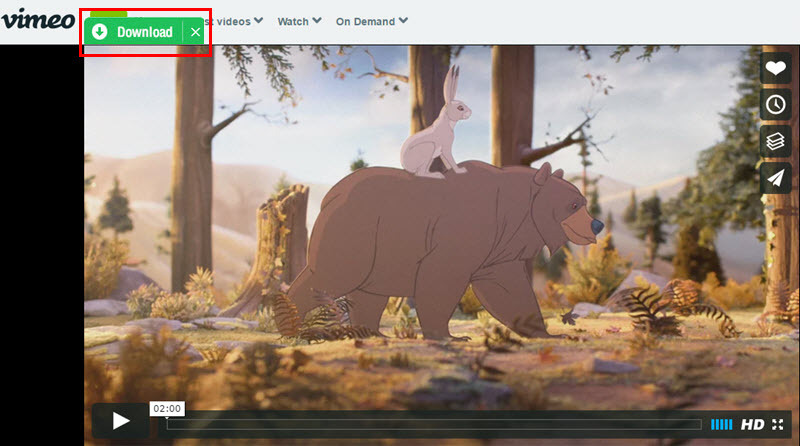 You can directly paste the link of the video and hit the start button to download the Vimeo videos. The platform has a variety of format support for video files. It has support for SoundCloud, Dailymotion, and other platforms too. It has a simple and direct method for downloading videos. The website doesn’t use HTTP security which makes it less reliable. Sometimes, the downloading is very time-consuming. If you want to download videos from multiple websites, then there is no better browser than Firefox for downloading videos and there is no better platform than Save Video. You can download the video from Facebook, Twitter, Vimeo, Vine, AOL Video, Ustream and other popular video hosting sites. 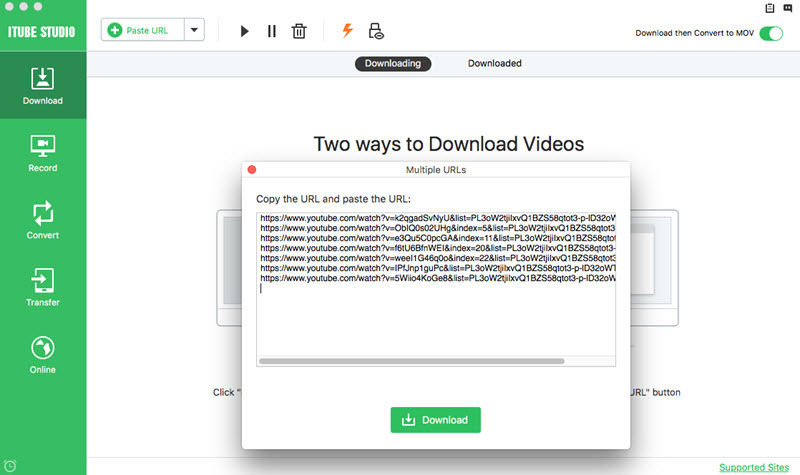 Just copy the URL of the video and paste it in the Download field. One tap and your video will be downloaded in superb quality. You can also find guides for downloading videos from various platforms. The website has a nice interface. You can have a look at the guide for downloading videos from various platforms. The website has a lot of pop-ups which keeps disturbing the download. 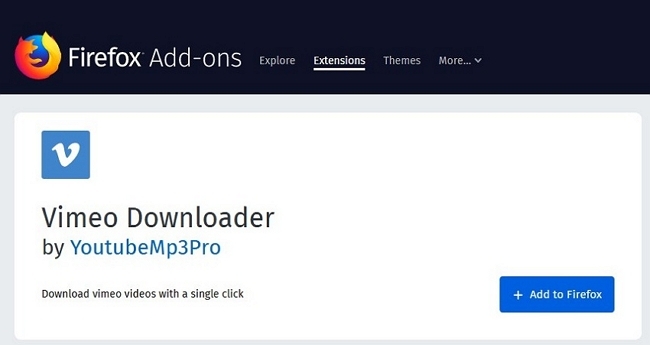 It can’t be used to download audios. 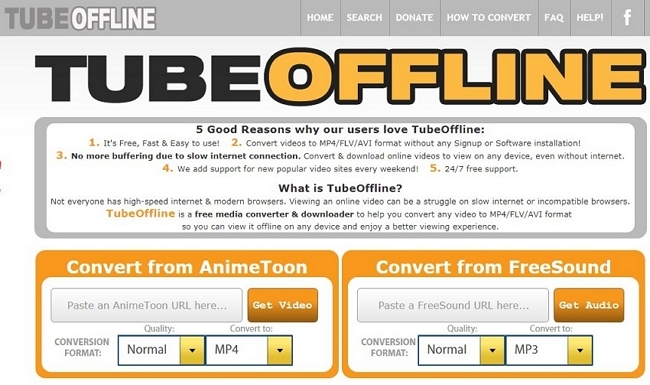 Tube Offline is another one of the best Firefox video downloaders. You won’t need a signup, registration or verification to download videos from this platform. It is not just a downloader but also acts as a converter so that you can choose in which format you want to download the videos. 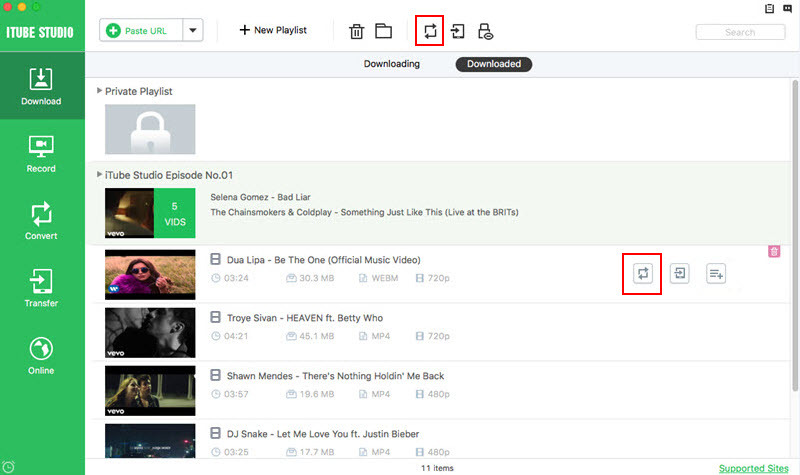 The best thing about the platform is that it allows the users to download videos offline, i.e. users don’t need an active internet connection to download the videos. It serves as an amazing Vimeo Downloader. The website is completely free. 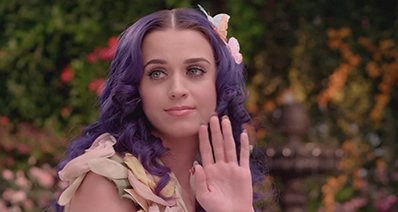 It also allows the users to convert the videos. It can only convert videos to MP4, FLV, and AVI format. It is hard to negotiate from the website. You will often get redirected to the pet website which is irritating. 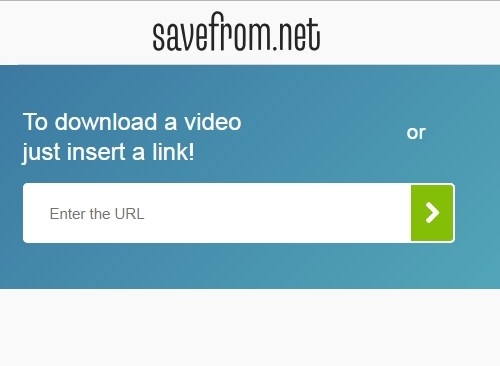 Savefrom.net is a platform to help users download any media file easily. It is a very effective Firefox video downloader and also has an extension for the browsers including Chrome. It supports various platforms like Facebook, SoundCloud, livejournal.com, Vimeo, YouTube, Instagram, etc. You can directly paste the URL of the video in the Download field and let the website do the rest. You will have the video in the best quality. 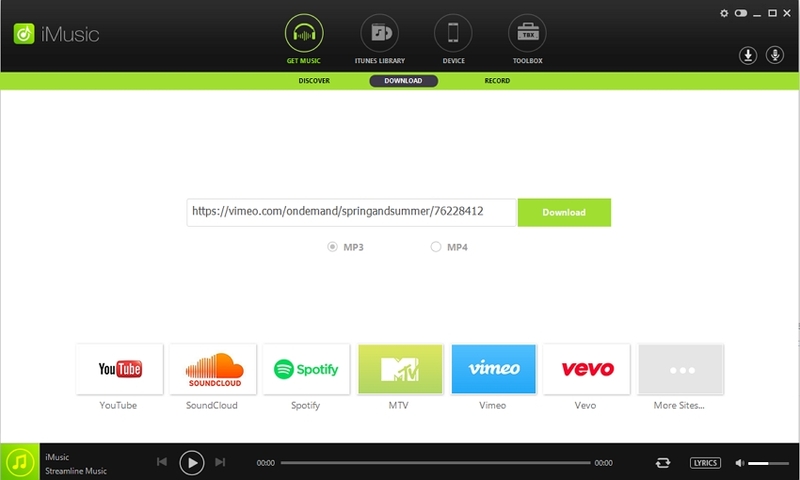 It also allows the users to directly change the URL of the video and download it directly. The website also has browser extensions. It is a great tool for converting video files into MP4 and MP3 format. The platform is safe and secured. Internet speed affects the downloading. The website contains intrusive ads. The extension is not safe as it comes with software bundling. KeepVid is a free Vimeo downloader that can quickly and easily download Vimeo videos. With KeepVid you will three options to download the video. The first one is with the website and the second one is with the extension. It supports FLV, MP4, 3GP, and WebM. The platform is very simple to use. It has a variety of support for video downloading from other video hosting websites. The website often opens up multiple ads. The files are saved by a random number. Conclusion: As one of the best Vimeo video downloaders for firefox, iTube Studio gives you the simplest and easiest solution to downloading and watching vimeo videos. Don't let chances slip through your fingers, just come to have a try of it !